Need a small tender? I'm selling a new, never-used B&B Two Paw 8. This is a wood-composite nesting pram that I built two years ago, but then never launched (except in my swimming pool). I'm not using it and maybe you need it. If you are not familiar with nesting boats, the boat is actually constructed in two pieces--front and back. When attached, you have a strong, stable 8' dinghy with a good load capacity. With the pieces detached, the front half nests into the back half for easy storage and transportation. The boat is rigged with both sail and oars. 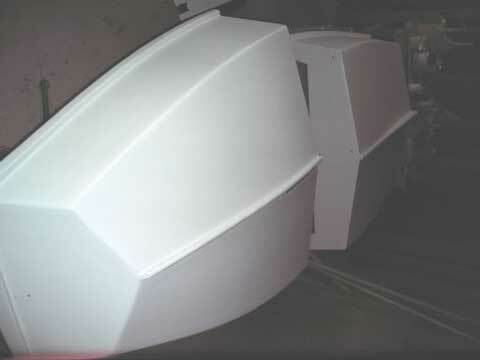 It's transom is reinforced and can support a 2hp outboard (not included). I added flotation, a bow lazarette and cup holders. If you are curious about construction and material specifics, email me and I'll send you a link to a website that provides a detailed, photographed diary of this boat's build. 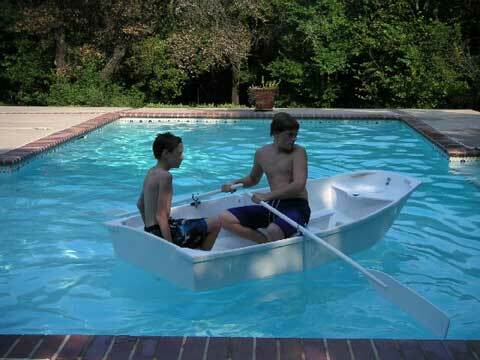 The dinghy is in central Oklahoma and shipping costs to your location are not included. If you can't pick it up, I'll work with you to figure out shipping options. 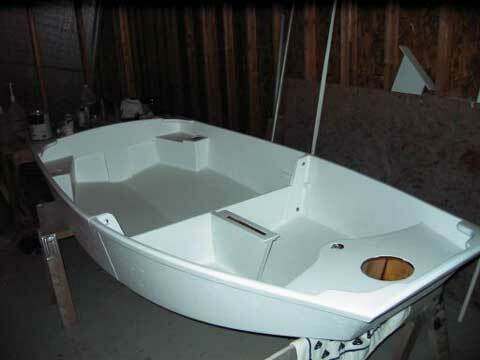 The nested boat is only 4' X 4' X 1.5' and 100lbs, so it shouldn't be too difficult for a shipper. The sales price includes boat, spars, sail, rudder, daggerboard, oars and accessory bag. 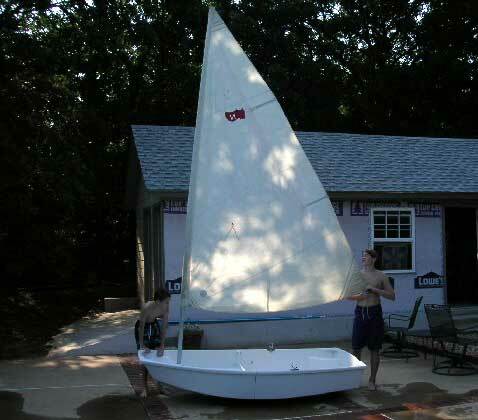 If you need a "nestable" sailing tender/dinghy, this boat may be for you. Drop me a line if interested. Boat specifications and photos are attached. Thanks to your classifieds, this boat sold today.